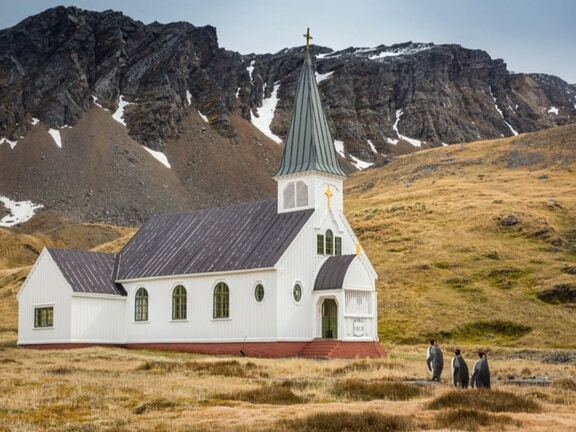 The image below, one of a set captured by photographer Tibor Kerccz, isn't merely amusing. It beat out over 3,500 other entries from 86 different countries to be named the 2017 Comedy Wildlife Photography Awards' grand winner. So it's not just funny. It's officially funny. This little owl seems to be stuck between "I've totally got this!" and "Oh God, why?" and it's hilarious. 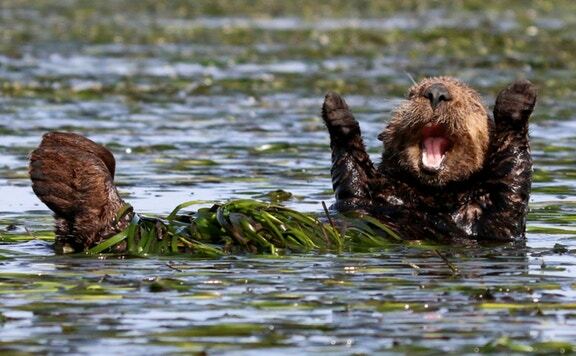 The Comedy Wildlife Photo Awards are the brainchild of two photographers: Tom Sullam and Paul Joynson-Hicks, MBE. Created in partnership with Born Free, a U.K. animal rights and anti-poaching group, the awards are intended to raise conservation awareness while also letting people in on the softer, sillier side of nature. 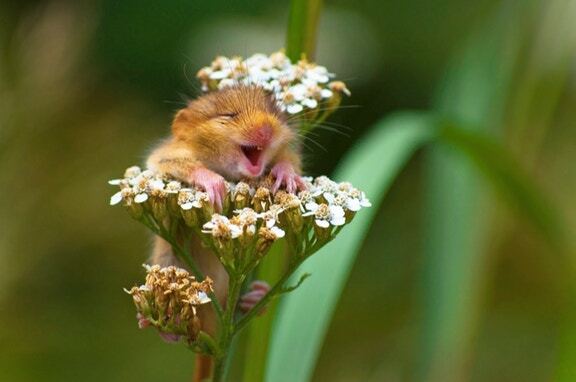 The "On The Land" category winner — Andrea Zampatti's "The Laughing Dormouse"
"Adorable dormouse photo? Turbo thrusters, ENGAGE!" 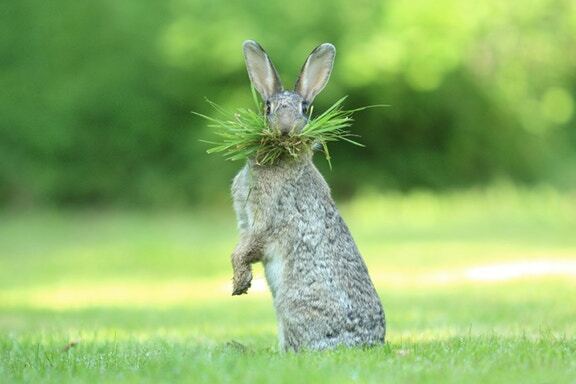 Photo by John Threlfall/Comedy Wildlife Photography Awards. The "Under the Sea" category winner — Troy Mayne's "Slap"
"There's a magic zooming duck photo? Out of my way!" Photo by Troy Mayne/Comedy Wildlife Photography Awards. The "In The Air" category winner — John Threlfall's "Duck Speed"
Carl Henry's "All Dressed And Ready For Church"
They're going to go pray for that poor fish's face. Photo by Carl Henry/Comedy Wildlife Photography Awards. The rest of the crowd were blocking her view of those penguins. Photo by Jean-Jacques Alcalay/Comedy Wildlife Photography Awards. 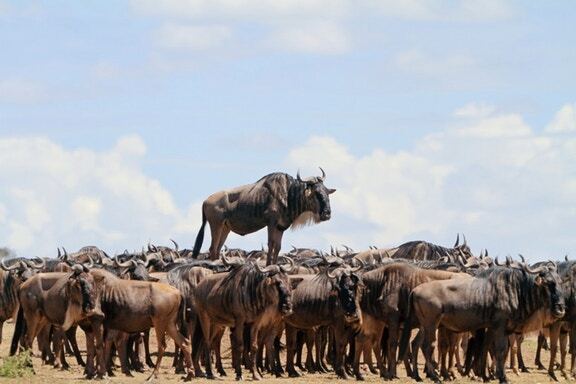 "We're gonna be late to see the wildebeest!" "Hold on, I think I've got this." 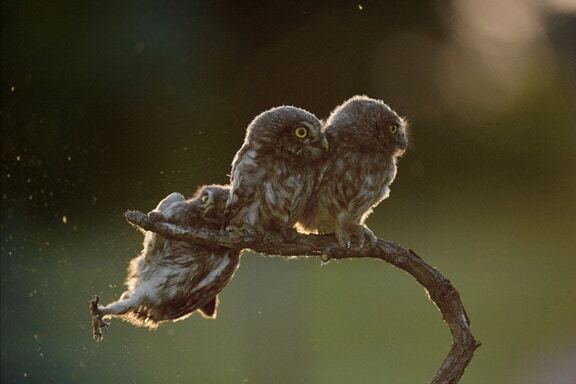 Photo by Katy Laveck-Foster/Comedy Wildlife Photography Awards. "Go little monkey dudes!" Photo by Penny Palmer/Comedy Wildlife Photography Awards. Daisy Gilardini's "Hitching A Ride"
"Mom, is that a sea otter? Mom. MOM! Mom, are you looking? Mom, is that a sea otter?" 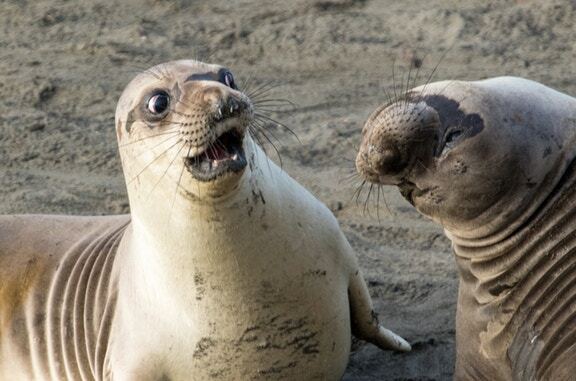 Photo by Daisy Gilardini/Comedy Wildlife Photography Awards. 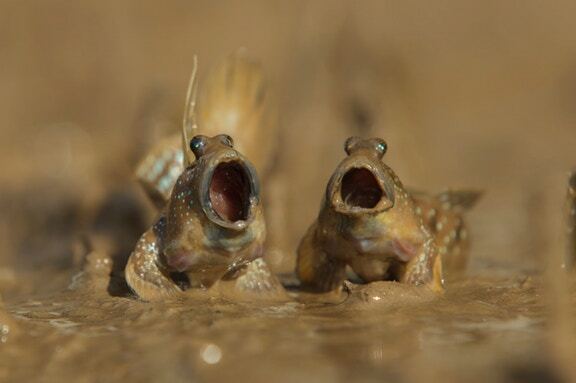 Daniel Trim's "Mudskippers Got Talent"
"Yeeeeeees, it's a sea otterrrrrrr." 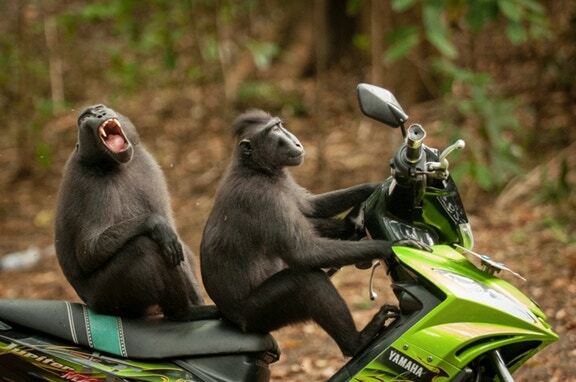 Photo by Daniel Trim/Comedy Wildlife Photography Awards. Douglas Croft's "Must Have Three-putted"
He expresses his musical opinions very literally. Photo by Douglas Croft/Comedy Wildlife Photography Awards. Bence Mate's "Caught In The Act"
"Nothing to see here." Photo by Bence Mate/Comedy Wildlife Photography Awards. Olivier Colle's "Eh What's Up Doc?" "Gasp!" Photo by Olivier Colle/Comedy Wildlife Photography Awards. "Did you hear what Bernice saw?" 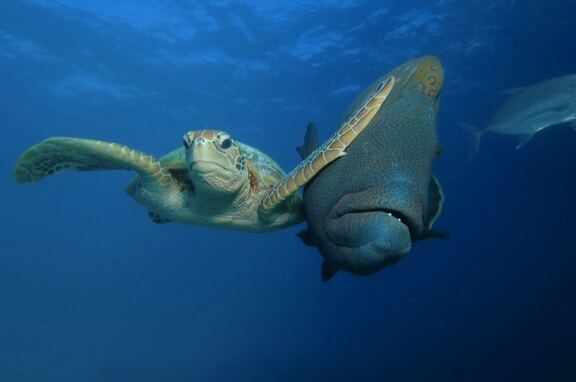 Photo by George Cathcart/Comedy Wildlife Photography Awards. 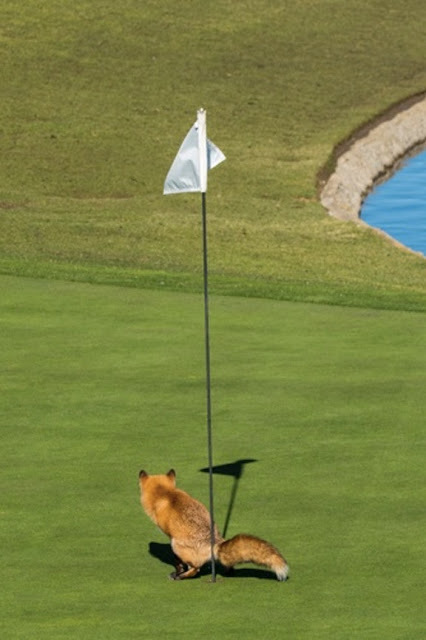 These hilarious awards are the perfect conservation pick-me-up. 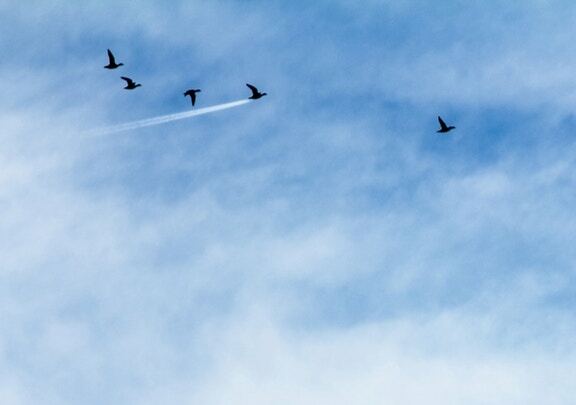 Preserving nature is important, but the topic can be make for a pretty heavy discussion sometimes. 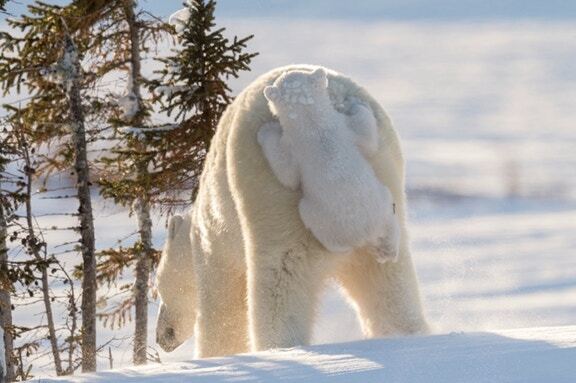 I know there are only so many sad polar bear pictures I can look at in a day. But I'll watch that owl fall down a million times before it gets old.